Day three brought us to familiar wineries once again. These were the wineries that we marked on our “go back to” list. We were in the northern part of Virginia with Winchester as our base. All of the wineries were within an hour drive from Winchester and if you were to drive the whole circuit without stopping, it would only take about three hours. We made our way to a fair number of wineries. Below are the notes of our journey. The next time you’re in the area, you should make it a point to check out these great wineries. Our first stop was at Otium Cellars. They specialize in more German style wines, but also have some familiar varietals. Of interest here are the 2013 Chardonnay and the 2013 Blaufränkisch. The grapes they use for the Chardonnay are an Alsace clone, which really bring out the acidity. They age half of the wine in new oak and the other in stainless steel. The blend brings a nice even flavor with a rich complexity. Blaufränkisch is also known as Lemburger, which makes a fruity yet spicy wine. The 2013 displayed a great nose full of fresh red fruits and cranberries with a slightly hoppy note. The flavors are light and even with a well-rounded finish. Stop two brought us to Boxwood Estate Winery. Boxwood specializes in red blends, specifically of the Bordeaux variety. However, they regularly produce a rosé and with freshly planted Sauvignon Blanc, a white is on the horizon. All of the reds here are similar in composition yet greatly differ when you compare them to each other. At the time they had a 2008 Boxwood and a 2009 Topiary that drank really well. The 08 Boxwood is a Cabernet Sauvignon blend with a touch of Merlot and Petit Verdot. For approaching 7 years, this wine is still remarkably dark in color. The nose was smoky with a deep and satisfying aroma. The smoke carried through to the flavor and rounded out with a touch of chalk. The 09 Topiary is a Merlot blend with a bit of Cabernet Franc and Malbec added. The wine was rich in color and aroma with a smooth and earthy flavor profile. Stop number three was Pearmund Cellars. Pearmund is the oldest Chardonnay vineyard in Virginia with their oldest vines going back at least thirty years. Of course the Chardonnay they produce is quite delicious. We sampled the 2011 Old Vine Chardonnay which was toasty yet well-balanced between oak, toast and butter. The flavors were equally balanced with a crisp acidity and great fruit flavors. We would also recommend the 2013 Viognier. This wine had a creamy nose with a slight hint of butter. The flavors were delicate with a light tropical note throughout. For stop four, we made our way to Philip Carter Winery of Virginia. We enjoyed the new 2013 Rose Well, a rosé of Merlot that was allowed to sit on the sinks for an extra two days after pressing. The color was darker than most rosé wines but had a nose that was distinctively Merlot with all the spice and woody notes one would expect. The flavors were light and easy with a hint of baking spices on the finish. We were also able to taste the 1762, their port style offering. This wine is 100% Chambourcin that was aged in bourbon barrels. The rich flavors were robust and had a lingering chocolate finish. Our last stop for the day took us to Delaplane Cellars. 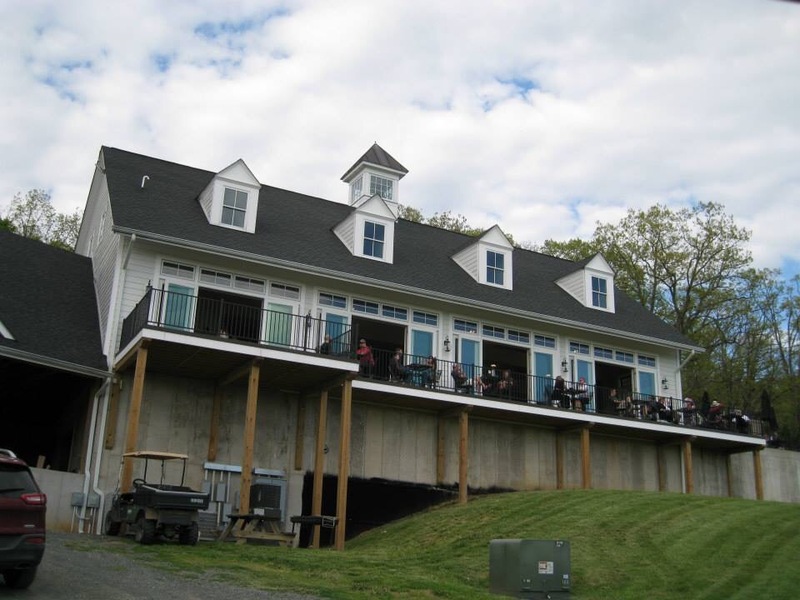 Perched high up on the hillside, Delaplane Cellars overlooks the scenic Virginia By-Way and has a great view of the surrounding mountains. We sampled six great wines. The 2013 Barrel Chardonnay was aged in neutral oak which imparted a light oak nose and a delicate flavor. The finish was long and toasty which left a great lingering flavor. It was our first time tasting the 2013 Tannat, but we must say that it was one of our favorites. The color was dark red with a nice full nose. The flavors were soft and light with a rich berry note. There was a good amount of spice on the end that complimented the inky profile nicely.